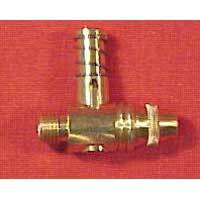 These solid brass, push button valves are handy additions to your powder horn, making powder dispensing quick & easy. Expanded powder channels to handle course grain powder. Add our bushing #36HVB to make a more durable installation on your horn. PourType - An on-off pouring spout used to charge a separate measure.